The FileStack API offers the capability to create website screenshots using only URLs. 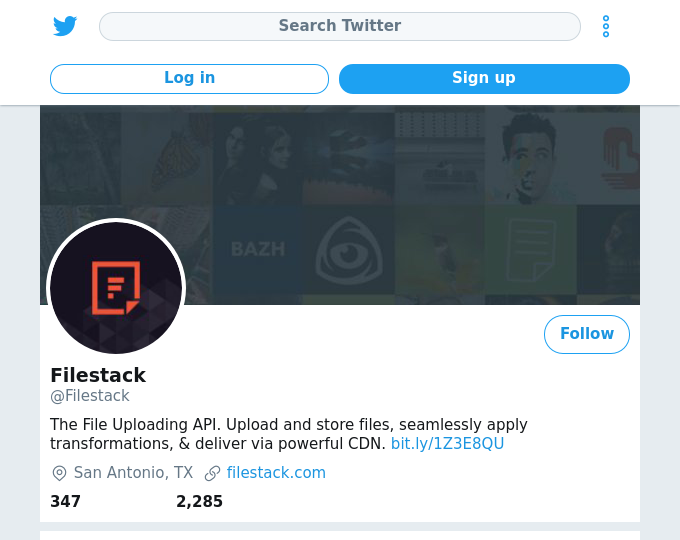 Filestack acts as a browser client that renders the contents of a web page and then captures that page content as an image. This powerful feature allows you to easily incorporate screen captures of other websites into your own web pages. Granted, taking screenshots is as easy as hitting some control keys on your keyboard, but what if you want those screenshots to be done automatically, so that you see the latest content from a site whenever your page loads? For instance, let’s say you wanted to create a small dashboard of your social media properties, such as Twitter and Facebook, so you knew exactly what the messaging was that your customers were seeing when they visited those accounts. 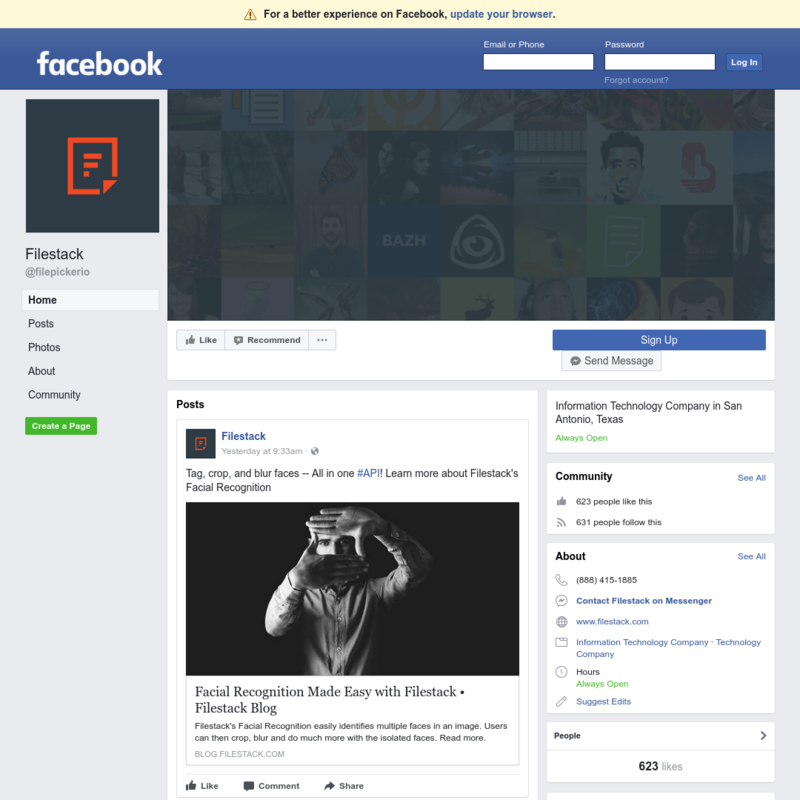 Filestack’s Facebook landing page rendered by the “urlscreenshot” command in “window” mode. 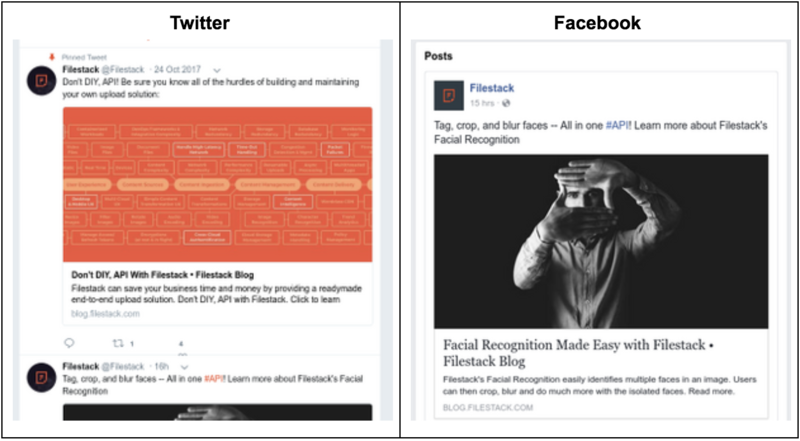 Of course, showing the full Facebook site contains a lot of visual information that’s not necessary for our dashboard — such as the sidebar and Facebook header. Fortunately, Filestack operations can be chained, so with some tweaking, you can adjust the window size (both the height and the width) and the crop out the portion of the page that you’d most want to see in your dashboard. And then for good measure you could resize it to give more of a thumbnail view. We can now see side by side a quick thumbnail of what our visitors would see if they visit our social media accounts. This sort of automatic screen capture could also be used to do quality assurance on nightly builds of web applications or to show the latest reviews of your products on Amazon. Note that you can also change the user agent being used to see what the screen looks like when you’re using a mobile client as opposed to a desktop client. There are some limitations to the URL screenshot feature. Most notable is that it can’t access websites that require credentials. There can be issues as well with dynamic content, though this can be addressed in part by having the user agent Filestack uses wait to capture the screen by a certain number of milliseconds to ensure the page has fully rendered with the “delay” parameter. And while the URL screenshot feature does allow you to get alternative views for a mobile versus a desktop client, it is not the same as actually using different user agents such as Chrome or Firefox. Still, to do a quick grab of content automatically and incorporate those images in your web content with only URLs shows you the power and simplicity of the Filestack API. Read the full API documentation on the “urlscreenshot” function for more details. 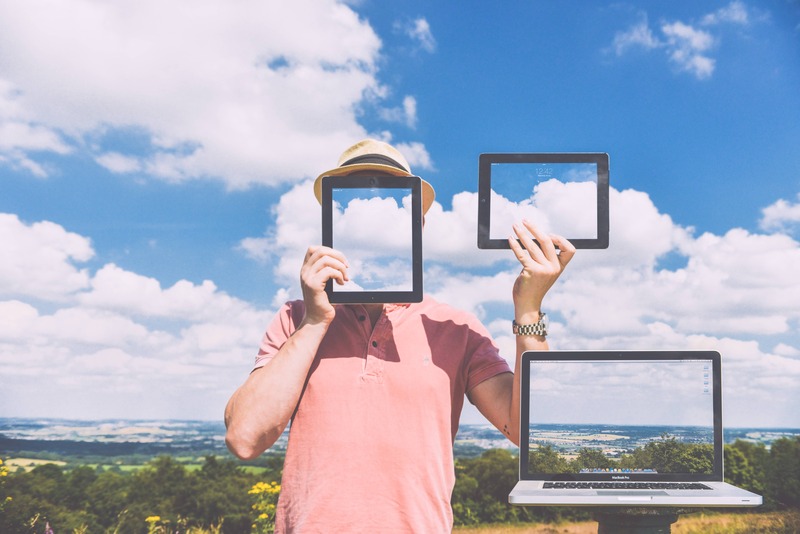 Other tasks you can automate include creating zip files from an array of images files and doing image tagging through the Google Vision API — the latter being an example of how Filestack acts as a broker for all best in class machine learning features. We hope you can start using this feature, and please leave any thoughts or questions in the comments.